Brett Johnson: Before we get into the weeds of business, I wanna talk to you about any, or a nonprofit that you give time, talent, or treasure to. Dave Cain: We actually have a very large not-for-profit practice in our Dublin office. By that, it's consulting; it's auditing; its tax work; it's serving on boards; it's consulting. We understand that industry very, very well. In fact, we look for opportunities for our people to participate in not-for-profits. Dave Cain: The not-for-profit industry means a lot of things for us, like associations. Those are not-for-profit, which sometimes, people don't think of those as not-for-profit, but they are. Then, basically, your 501(c)(3)s. We try to give back in the form of time; sometimes services. Although lately, it's been a little bit difficult to do in-kind services, especially if it's some tax, or auditing services, or just some more ethical things surrounding that than maybe before; especially if you're auditing somebody's financial statements. It's a bit of a challenge to give back some in-kind stuff there, but we find other ways. Dave Cain: I'd say, out of our ... We have 12 offices, and the majority of our auditing practice is here in the Dublin market, or Columbus market. A lot of that is inside 270, so, it's inside the city. A lotta arts, and a lotta associations. To give you an idea, Farm Bureau is one of our clients. Let me see if I'm pointing right. Where's the shadow box? Dave Cain: -there we go. They're a client of ours. Gotta give you ... There's different levels in between. Brett Johnson: And so on your website, where could they, a nonprofit, or a not-for-profit, find that information? Dave Cain: They can just go on, and there's a Services box drop-down. It should be easily find-able, if you can navigate websites. We've tried to make it as user-friendly as possible. We just actually redid a lot of things in the last year to make it easier for you to go in, and search, because if you spend ... You know, from being in the business, you go there, you can't find it, you're outta there. Brett Johnson: Doesn't take a lot of time for you to just drop off. Yeah, exactly. Dave Cain: Do you happen to know Brad Circone? He has helped us with our branding, and actually is producing our podcast, and our website. That was kinda the glue that helped us put everything together - somebody that had that background. He's the one that comes in; brings the mics in, produces, and edits ... We're pretty committed to ... We're releasing once a week. Brett Johnson: I put it in quote marks, because directing can mean a lot of different things, but it's keeping you to task. Saying that, "We're going to be in the room here doing this, next Tuesday. Be prepared for four of them." You walk in, it's gonna be ready for you. Brett Johnson: I don't think you're gonna be happy with the end result. Brett Johnson: It ultimately will be. Dave Cain: -something else would get in the way, then, "Oh, we're not recording the podcast." It's on our calendar, and it's the second Tuesday, or second Thursday of every month, and if you miss it, we will break your leg. Brett Johnson: Let's talk about your background. Obviously, you mentioned earlier to me, whether I've recorded it, or not, you're not a broadcaster. Dave Cain: I am not. Brett Johnson: Let's talk about your adventure to this point; how you started with your career moves, and now you're a podcaster. Dave Cain: Yeah, how 'bout that? I started with Rea & Associates just about 40 years ago, and my specialty, if you will, is I work with emerging businesses, both on tax consulting, planning, and things of that nature. I really enjoy that aspect of it. Dave Cain: It just so happened the podcast spot came open after about 50 episodes, and they asked me if I wanted to do it. Went for a try-out, if you will. I won. Of course, I was in pretty good shape doing that. What helps me with being the host of the podcast, which you can, again, relate to it ... It's not the easiest thing in the world to be the host. You gotta figure out the right questions; you gotta study. Dave Cain: One of the things that helped me is virtually all of the topics that we cover, at least if it's tax, and consulting, and business, I know a little bit about each of those topics. Sometimes, I gotta do a little bit of studying, but for the most part, I've either touched it, felt it, read it, talked to somebody who had a client in that industry. That's what makes it work for me, as far as being able to ask the questions, and the right questions. Now, we've discovered, a little bit by design, there's some things that we don't touch. Obviously, the political side of things has been a little bit challenging the last year, especially with the new tax act. Dave Cain: It does, it does-. Dave Cain: We'll see where our guest wants to go. Brett Johnson: Right, right. .
Dave Cain: I'll typically talk about the new tax law, and winners and losers under that, and what do they think about that; if they could change the tax law, had one day to change the tax law, what would they do? We can take 'em up to the edge without making it too political. That's by design, because you never know, with your listeners, where their platform is, so we steer clear of that. Dave Cain: Some of the things that really work for us are when you talk about topics that are, "Hey, we're CPA firm ..."but we had one. where we talked about opioid addiction, and that was very well-received. That was a very tough one; very, very challenging one. A fun one is when we talk about millennials versus baby boomers. Always, always, always fun. Brett Johnson: That could be politically charged, as well, too, yeah. Brett Johnson: Oh, yeah, you can. Dave Cain: HR, Human Resource; it's always very, very popular. Some of the real technical deep-dive stuff is okay, but not as great as some of the non-technical. Certainly, the recent change in the sales tax rules, some of those with the South Dakota v. Wayfair, that's ... We've had a lot of broadcasts on that, and that's been very, very, very popular, also. We try to change our topics, and we study it. Our marketing team does just a phenomenal job of getting me prepared. "Here's the notes; the cheat sheets." Our guests come in, and we try to have fun. Brett Johnson: How did the process begin? I know this is before your time, but how did it begin to talk about having a podcast-. Brett Johnson: A CPA firm? Brett Johnson: That really isn't usually the business category you think about having a podcast. Dave Cain: I can tell you how it started, and I was a bit on the ground floor ... There were the three of us, Mark Van Benschoten, a fellow partner mine, myself, and Brad Circone ... We're just brainstorming, and we were off-site, having a libation, if you will, and it came up that we should do a podcast, or start thinking about a podcast. Dave Cain: We started challenging that, and said, "You know what? That's maybe an avenue to go," because it may help us with our overall theme of what our culture is, and what we want it to be, and what we wanted to project it to be, plus showing off the incredible talent that we have around the firm. We started thinking about that, and how would that mesh with our overall strategy, and our strategic plan? What we what we found is that, boy, it meshes pretty nicely, but, I'll tell you, it was a hard sell. Dave Cain: We went to our marketing team, and they said, "You guys ... Just how long were you at happy hour? We're gonna do a podcast?" We said, "Sure," and we explained it, and they got on board. Then, we went to firm leadership, and they said, "Uh, you guys are gonna do what? You're gonna spend what? What's our rate of return on this? What's going on?" Must've did a pretty good job of selling it, and we sold it, and off we go. Dave Cain: We've had leadership on; we've had our marketing team on, and they enjoy it. We have fun with it, and that's the one thing. I would say, going back, is we tried to tie it into what our culture was, and what our strategic plan would be. With that, we wanted to, like I mentioned earlier, we wanted to highlight the incredible talent we had around the firm..
Dave Cain: We're a firm that has specialists, and we wanted those guys to, and gals, too, just come on, and that would be part of their personal branding. We used that to our advantage, and also tied it into the content marketing that our marketing team was doing at the same time. It's all tried to tie it together, and that's what I think would make it work, versus if we just went in, and said, "Hey, we're having a podcast; we're just gonna have fun, and see what happens." We probably wouldn't have lasted this long. Tying it together to our strategic plan, and the mission, and all that, and never lose sight of that, that really helped solidify where we wanna go with it. Brett Johnson: How long from first discussion to first episode published did it take? Dave Cain: I would say, I'm just gonna guess on that, but just the time frame, probably six months, so it didn't take long. I was actually our first guest, unofficial guest. I was not the first host. We experimented a little bit, and said, "Wow, that sounds pretty good." Second one, it sounded pretty good. Third one, not so good. Fourth one, not so good. First of all, we were batting 50 percent, and then it started getting a lot better, just as everybody got comfortable with what it is. Dave Cain: I would say, our message, we try to keep it consistent, meaning we're gonna release every week, and I think we release on maybe Monday evening, Tuesday morning, somewhere in there. I don't know what the total schedule is. We have one being released every week, different topic. We haven't run out of topics. You think you'd run out of topics to talk about, but in the accounting, the tax, the consulting, healthcare, you never run out. Dave Cain: Then, we also invite our clients in, and do a webcast with them to help them, maybe, as part of their marketing, but, again, we'll talk them, "Does that fit with what you guys wanna do?" A lot of times, it does. Or they come in, and they have a cause they wanna talk about, and we build in- try to build in the message in there. Brett Johnson: You are in deep with scheduling, obviously-. Dave Cain: It is, it is. Brett Johnson: -a lot of machinations going on in the background to make it work, especially when your batch-recording four, or five at a time. Dave Cain: Right, right. Our hats off to our marketing team at Rea & Associates. I'm not involved with the scheduling, thank goodness. I'm being scheduled just like everyone else, but, let's say, Brett, that we wanted to schedule you as ... You would get you get a phone call from Abby, from our marketing team, to see if you were interested, and then tell you a little bit about the podcast, and the points that you wanna emphasize - what do you wanna talk about, not what we wanna talk about. Dave Cain: Then, those are shared, and then you get a Google invite on your calendar, and I get one, and boom, it goes on. Our team knows that it's every other ... Every month, every second Thursday, and you can't cancel, because when you're scheduled that tight, and you have one release a week, if you cancel, we've got a hole in the schedule. Dave Cain: The scheduling is a challenge. We don't do telephone interviews. Brett Johnson: I think it's difficult to do an interview that's not face to face. It's hard. Brett Johnson: There's an art form to that, especially with video. Even though you think it'll bridge the gap, it doesn't do it. Dave Cain: There's something missing. We've experimented. There's just something missing with it-. Dave Cain: -but there is something missing - the stuff going around, the outside, and everything. Of course, we get ... We use our team, and some of them are extroverts, some are introverts; some love doing it, some are scared out of this world. We try to loosen 'em up a little bit, when they get in there; once they get loose, then, they go-. Brett Johnson: Biggest compliment you could probably have is they walk out going, "Wow, that was fast. That was easy." Dave Cain: Yeah, that's what they said [cross talk] 20 minutes..
Brett Johnson: That's the best compliment an interviewer can have. Dave Cain: We've tried to keep it 20 to 25 minutes, dependent on the topic. Then, we try to break it in two. Somebody comes in that's really uncomfortable, we know that going in. We bring in a little portable bar into the room. "Hey, you wanna have a beer while you're doing this?" Some yes, some no, but after they're done, they're drinking the beer; they wanna stay around for the next podcast. You can't make 'em leave. "Get outta here! It's time to ...". Dave Cain: "Take it with ya ..." We do it in a fun way to try to get it going, and trying to keep the topics fresh ... By the time we record, and release, there might be three weeks to a month, so we pay close attention to what the calendar is. Right around the election, or right around the time the tax law changed, we were ready to go, right after they released it. Now, our information wasn't the freshest, because we had been studying it, and we didn't know the final results, and we had to go back, and work through that. We try to stay ahead of that; keep it topical. Brett Johnson: How has the podcast been coexisting with the blogs that you do, or newsletters, and such? Dave Cain: What we do is we try to have those interact. In other words, if you were to go on to our website, and you would look at your bio, for example, in your bio would be any blogs that you've written, any podcasts that you have done. They're tied together. If you would receive an email communication, or email newsletter, or blog from us, there may be a short blurb of what this week's podcast is all about. We try to make sure that those interact. That's been very successful for us, and I would say our marketing team has done a great job of doing that. Brett Johnson: There're some nuances to those touch points, without being too much in your face, but reminding the recipient that the podcast exists. Brett Johnson: That a new episode's coming up; that this might be one you want to listen to. Dave Cain: Sure. We will push it out to our clients. Our marketing team will say, "Well, hey, Dave, why don't you send this podcast out to all your manufacturing clients, or all your professional clients?" There was one that we did, a podcast that we did by the head of our tax team, Chris Axene. He dissected the deduction for meals and entertainment, and the tax impact, and the tax changes, and it was ... He was really good. What we did is we sent that out to a lot of our clients, and said, "Here's what you have to do to deduct those type of expenses." That one was kinda charged up, so we had fun with that one. Brett Johnson: Are you using the podcast, then, to focus on new clients; sending them your expertise as an audio format that we know how to do ... It's kind of a [cross talk]. Brett Johnson: It's a tool at your disposal, obviously. Dave Cain: It's a tool at the disposal. Let's say we were in a proposal for a manufacturer, we may send them a couple podcasts on manufacturing, or invite them in for a podcast to present their business, or present a topic. For example, manufacturing, we may call you in, and ... 'Call you in' is not the right ... Invite you to come over, have a good time, talk to us maybe about tariffs. We've heard a lot in the news about tariffs, especially with the auto industry, now. In the course of our discussion of tariffs, we'll talk about your business as a manufacturer. You may be invited to come in, and talk about a very sensitive issue to you, or one that has passion, but we'll try to tie it back to your business. Brett Johnson: You've made, and I'm glad you have, made mention of your schedule, of how demanding it is, but rewarding. How did you decide to do a weekly schedule, or continue to do a weekly publishing schedule? Dave Cain: First of all, it became a challenge to get people's schedules coordinated, and you being in the business can appreciate that. We decided we were gonna stick to it, and stay with one day a month, and that was it. The marketing team knew that was gonna be it; our production team knew that was gonna be it. I knew it was gonna be ... I tried to sneak out a couple times to play golf, or vacation, and they wouldn't let me. I had forgotten that it was that day, but they send those calendar invites out, it's on my calendar for the next year. Dave Cain: I would say scheduling would be one of the challenges that's way up there. You better have a game plan of how you're gonna do that, because, if not, you get stuck a little bit. That's one. The second one we talked about earlier is tied into what you're doing around the company, or the firm, as far as your blogs, or your newsletters, or your marketing. I don't know that we would have been successful, if we wouldn't have done that. Brett Johnson: -how are you doing that? Dave Cain: They can use that. They can use that at their ... However they wanna use it. We'll ship it out to them. If they wanna edit it a little bit different way, or cut up, we can do that, but we do have a little bit of limitations, because you gotta be a little bit careful with that ... Let's say your business came in, and you said, "Hey, can I get a copy of this podcast? Can I put it on my website?" Absolutely. Absolutely. Dave Cain: Now, what we do ... We also, while we're doing it, do a YouTube release. That's a lot tougher. Some days, I don't even know they're doing the YouTube channel. I thought, "Oh, boy, I wish we wouldn't have done that," but it gives us a chance to wear ugly Christmas sweaters, and to dress up for Halloween, and have some, I guess, some visuals that may make some sense. Brett Johnson: Sure, incorporate it. Yeah, for sure. Now, the artwork for your podcast is great. Who's putting that together? The visual presence that you have is top notch. Brett Johnson: They're doing a great job. Dave Cain: -in that, and they spent a lot of time doing that. I spent enough time with that group to know just how hard they worked to get it right. They have won awards, especially when we first started producing ... They won awards after awards in our industry, in the CPA industry, for the podcast, because we were one of the first to do it on a consistent basis, taking topics ... Now, there's podcasts that are on training - more of a training issue - but these are just general conversations with Main Street type businesses. We love those kind of stories, so we try to mix it up. Dave Cain: I'm gonna get into the nitty-gritty here, that businesses need to address this, when they walk into looking at a podcast. It's not the same as putting together a video that you can slap it up to YouTube. That's universal. That's kinda where you have to go. There are a lot of hosting platforms; lots of technical pieces to this that, yes, can be overwhelming, and may stop you from doing it, but, at the same time, can be navigated through. Lots of podcasting platform hosts. Do you remember why you chose Libsyn versus other platforms out there? Dave Cain: I do not, but I did a little investigation, because I saw your question; I knew you would ask that. I think it was some of the diversity that was offered in the different platforms. Again, I don't get too involved with that, thank goodness, but, our team ... The feedback I get is it is good, so I think that's the right place to be. Dave Cain: You can move. Brett Johnson: -another one; that's not a big thing. Dave Cain: I think we have moved, maybe a couple of times, until we got it right. Researched a few things. That's one of those things that happens behind the scenes, and, as the host of the podcast, I never see, but I hear 'em talking about that - our marketing team - all the time. It's like they listen to me talk in tax code; they're talking in marketing code, so we go back and forth with that. Brett Johnson: Sure. You mentioned earlier, you have a gentleman coming in, Brad coming in, setting up the equipment, doing all the equipment ... What's your setup? I know we can take a look at video, as well, but, in the office space, how are you putting this all together? Dave Cain: -we've gotta go chase somebody down. Brett Johnson: Always ghosts in the machine. Dave Cain: Brad, our producer, he's an old musician; old rock-and-roller. He understands the microphone ... Every now and then, we like to rip it out, and do something different with it, or dress it up a little bit. The equipment is critical. I don't know that I had a podcast where it didn't go well, so, I kinda take it for granted about the equipment, but this is not like bringing in your microphone from home. It won't sound the same. Brett Johnson: Businesses that are taking a look at this, as well, and maybe thinking, "Hey, we do have an office that's not used very often, or could be situated as such," what would you suggest as a room to dedicate to one, size-wise, as well as maybe off the beaten path? Any suggestions? Dave Cain: Yeah, I would say it doesn't have to be very large. It has to be comfortable, I think; just like here in your studio, very, very comfortable; that way, your audience is comfortable. I think maybe out of the way, and soundproof is important; maybe out of the way, more than soundproof, because if it's outta the way, it's soundproof. Dave Cain: By default. Every now and then, we'll hear the landscape guys cranking up their mower, or the siren going by, or alarms going off, things like that, or shutting the door. Sometimes, we leave it in there as just kinda natural, but it is distracting, when you're trying to conduct an interview. I would think out of the way, and we're careful not to use chairs that squeak, by design. Dave Cain: The equipment is ... Professionally done; I would say has to be. That would be, again, as the host, and not behind the scenes. It's way easier when somebody comes in, and says, "Hey, here it is; here's your timer; go," and just go in there. Of course, I can always tell when we make a mistake, because they're all typing, and doing some editing there. Dave Cain: Oh, yeah, and we have bloopers. We have bloopers, and bloopers are fun. We track bloopers. There are things that have ... Sometimes, I just ... One time, I just lost my voice; couldn't talk. You know how when you get that cough, and you just can't say the next word? I got up, and had to leave the room ... I just gave the speaker the motion to keep on talking. She just kept on talking [cross talk] and she ... Somebody else came over, jumped in the seat, and she just kept talking, and that was ... I got it all squared away, and got back in there. Yeah, we certainly have bloopers. Brett Johnson: Brad's taking care of the editing, and mixing, then, as well? Dave Cain: Yes. We sometimes we'll kid, and make mistakes on purpose, but we try not to, because editing, as you know, makes your job a little bit tougher. Brett Johnson: Editing is fun, but you don't wanna have to do it. Dave Cain: You don't wanna have to do a lot. Brett Johnson: It's always nice to do a one-and-done. You add the music, and it's done. That's just as satisfying. It is. It is. Dave Cain: You mispronounce words, and you don't ... Okay, as long as it's not egregious, it's okay. Brett Johnson: -not worth it. Dave Cain: Not worth it. Dave Cain: That's right. That's right. We totally respect that, and follow that. Dave Cain: No, it didn't, but I had my eye on it, when it came up. I was semi-recruited, because they wanted a host that had business experience in multiple areas, which, I fit that bill. They wanted somebody that maybe wasn't afraid to get in front of the mic, and speak, and work at it. I was willing to do all of that, but again, the host ... You've done enough hosting, you know it's not the easiest thing. Some comes natural; sometimes, your guest just isn't knocking it out of the park. If you get a good guest, it's great. Brett Johnson: Then your skills come into play, going, "Why am I asking them yes or no questions? Stop that ..."
Brett Johnson: "... because they're taking advantage of it." Dave Cain: Yes. Yeah, and they take away ... I have a little cheat sheet in front of me. It's a piece of colored construction paper, and it reminds me to ask what, why, how to get those answers. Then, they'll take it away. We also try to ... This is kinda interesting; we try to do it without notes, sometimes. I'll have some notes that I have to ... Because there are points that I don't wanna forget, but, as far as the guest, we try to encourage them not to bring notes, because they've already given us their talking points. The notes are a distraction, because sometimes, somebody's looking at the notes. We want it to be just conversation, like we're sitting at a desk, or office. As long as you can get the microphones out of your mind, that they're just there, and you have a conversation, it goes pretty easily. Brett Johnson: Future plans for the podcast? Brett Johnson: -but it is kind of fun to change it up a little bit. Dave Cain: We wanna change it up. We wanna change it up, and we're looking at time of the podcast. We try to stick to 20 minutes, maybe 23 minutes. Some will go a half hour, only if the guest is just hitting on all cylinders, and we can't get out of the conversation. We think that's maybe a little long for some of the topics, so, we may take a topic, and divide it into two podcasts; instead of maybe 30 minutes, we divide it into two separate recording sessions - do two 20 - and can dig into it a little bit deeper. Dave Cain: We try also to keep the topic very narrow. If you and I are talking about the new tax law, that's a pretty in-depth conversation; we won't cover anything. If we wanna talk about this deduction, or that, we can have a good conversation in a period of time. Change, you're gonna have to change it, and we will, and we're looking at some ways to do that. 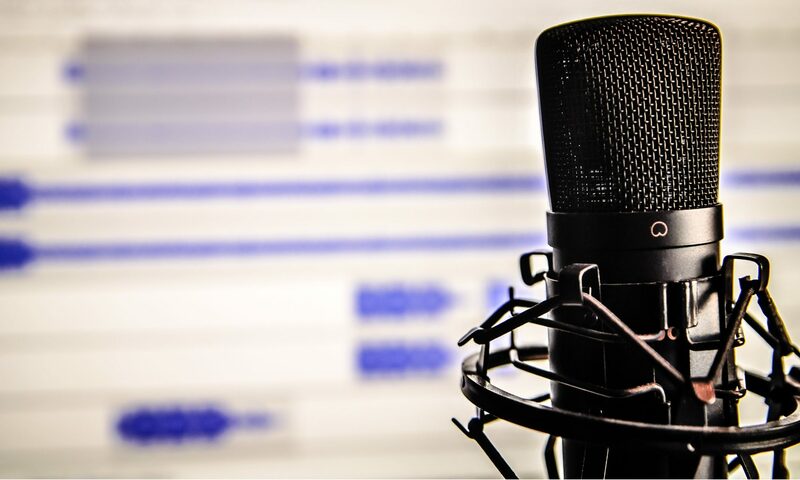 Brett Johnson: Do you think your podcast is a template, a good template, for CPA firms? Dave Cain: I believe it is. To me, the equation, if you will, is our marketing team is phenomenal, and they're the ones that make it happen. They're directing traffic, and they're teaching us how to tie everything together with the content that they have. Even though we look at the topics, we try to keep it into our content marketing scheme, and our strategic plan. We gotta stay focused on that, because when we take a detour on that, it doesn't work as well. That's very, very critical for, I think, a podcast is somebody outside of the host - the guys behind the scenes, the gals behind the scenes - make it ... They're the ones that make it happen. They make my job pretty easy, some days. Some days, they make it really hard. Brett Johnson: Just to make Dave's day. Dave Cain: Yeah. When they write the intros, and we change that ... We try not to read stuff, but you gotta read things. Reading is way more difficult, certainly for me, but it's just I gotta practice it ... It's just you can tell when somebody's reading, and we try to stay away from that. We're gotta do a few things, but freelance is better, because that's what ... When you and I have a conversation, we're freelancing the conversation; we're not looking at notes, or a phone, or a laptop, things like that. Brett Johnson: Correct. What advice would you give any business of any category, if they're interested in starting a podcast? How do they begin? Dave Cain: I would recommend a couple things. One is I think you have to be very consistent with your processes, and your messages. It's not one of these things you can produce a podcast for three months, take a break, and then get back after it. I think you have to give it a fair amount of time to take its course, see where it goes. Dave Cain: For me, again, this is as a CPA, and as an owner in the firm, I need the rate of return. I need some kinda feel-good that it's working, whether it's my buddies call me, or I go to their house, and they got the podcast playing on the loudspeaker, or something like that; I get an email [inaudible] about it. That way, I know it's working ... Or a competitor talks about it, but you have to do that. Dave Cain: I would say consistency, and be prepared that, in the beginning, it's probably not gonna go the way you wanna go. We also talked about scheduling. Stay way ahead of the schedule, and be prepared that that schedule may change. Those are the things that have helped us out tremendously. Brett Johnson: What key people should be involved? Brett Johnson: Certainly, the marketing team' they're number one. I'm not a marketing person, never have been, and they've helped me design how we wanna do that. They can control the strategy for the content ... Definitely, your marketing team. Then, as far as producers ... [Everybody] needs it professionally produced, I'm convinced. I don't know how we could ... We have microphones; we have the ability to do it, but we decided we don't wanna do it. It's not the same. We need that professional taking a look at how we're doing it, and tying it together, and they can bring the equipment. Our equipment is for having a ... Listening to a webcast, not producing a podcast. Brett Johnson: Unsuitable on Rea Radio, where can our listeners find it? Dave Cain: They can find it almost anywhere that podcasts are available. I hear our team say they listen to it on iHeartRadio. They listen to it on iTunes; they can go on to our website, at ReaCPA.com; find it there. If we have an email, if we've emailed you, there may be a link in there to that webcast. That are the places it can be found. It can be found pretty easily, if you're into podcasting. Dave Cain: What we found: the podcast community is alive and well, and they love it. They just- they love it. Same listeners. They'll call us back, and say, "Hoo, boy, you blew that one," or, "You tackled that issue," or, "You didn't go far enough with the political debate." There's some things there. Brett Johnson: That's a big, "Thank you. You're right. We didn't ...". Dave Cain: "We didn't. Did you want us to?". Dave Cain: We get the feel for that. Dave Cain: Mistakes are gonna happen, and sometimes, the mistakes are fun to work with. Brett Johnson: Yeah, sure, exactly. Dave Cain: You should get good people involved with it that know what they're doing. I would say it's been a lot of fun, as the host, but it is a lot of work. At the end of the day, when I'm done, especially if we did five podcasts, I'm ready ... I'm ready for nap. Dave Cain: I'm ready for a nap, but it is a lot of fun, because you get to talk about stuff - business stuff, and some stuff that's not business stuff - and try to mesh it together. That's what made it work for us, because that's the culture of our firm. Brett Johnson: Thanks for being a guest. I really appreciate it. Dave Cain: Sure. A lotta fun. The above audio transcript of "unsuitable on Rea Radio" was transcribed by the best audio transcription service called Sonix. If you have to convert audio to text in 2019, then you should try Sonix. Transcribing audio files is painful. Sonix makes it fast, easy, and affordable. I love using Sonix to transcribe my audio files. Thanks to Dave Cain, CPA, Executive Principal at Rea & Associates, and host of unsuitable on Rea Radio, for being my guest on this episode of Note To Future Me.